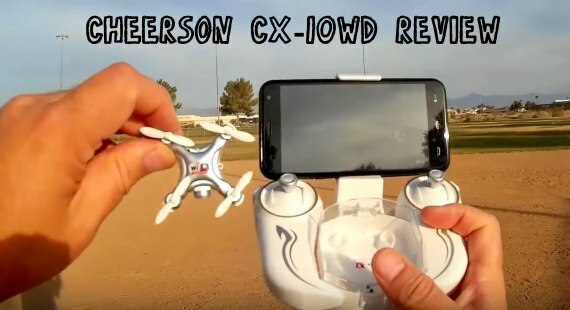 Let’s take the Cheerson CX-10WD RC Quadcopter out for a test flight in the field. Get a look at how well it flies with the phone app and the remote controller. This FPV Nano Camera Drone come with altitude hold and WiFi capable app. This is one of the easiest micro quadcopters I have ever flown. The run time is not very long but it recharges quickly and worth the wait. Find the best deals on Cheerson Drones with fast shipping from the USA. No long wait time from China.